Consult an eye care professional! 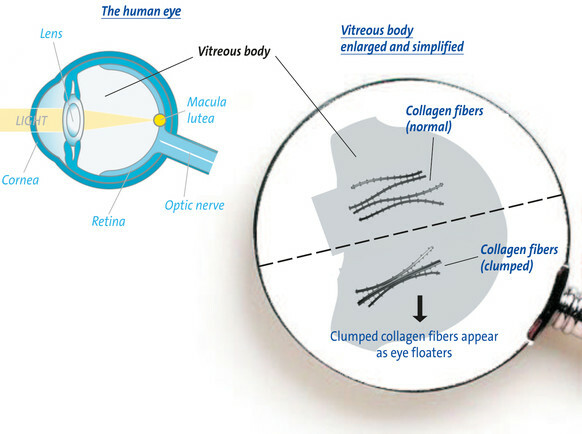 This is a frequently occurring vitreous opacities, caused by the aggregation of collagen fibers in the vitreous. They are perceived as fluff and filaments, because these clumps cause shadows on the retina. Since the threads and points swim within the eyeball, they are also called floaters. They take on different forms; typically, small dots, spots, small bubbles, filaments or webs. 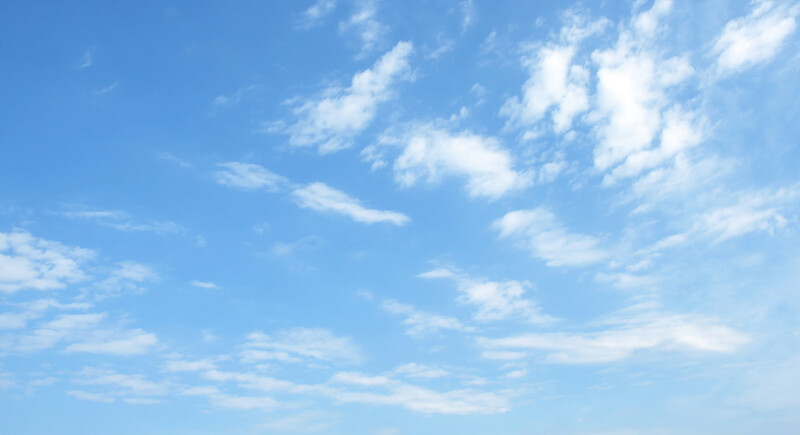 They are particularly visible when viewing a bright area, such as a blue sky. The elements move when the eyes move, often with a slight delay, and can tumble and turn. A large floaters may reduce the field of vision; however, this occurs rarely. Within the interior of the eye is the vitreous humor, a gelatinous substance that maintains the shape of the eyeball. Its gel quality absorbs shock and helps protect the delicate retinal layers. 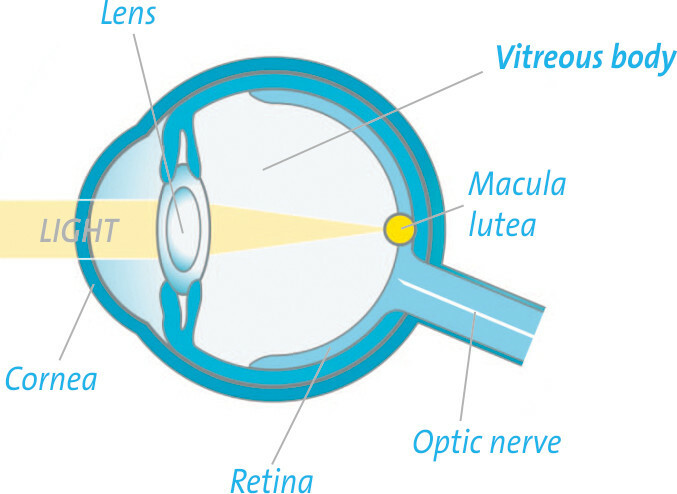 The vitreous is mostly water, but it is two to four times more viscous than water. The jelly-like mass of the vitreous body is 98% water and 2% hyaluronic acid, and a network of collagen fibers. The collagen fibers are arranged parallel to each other and loosely, forming the three-dimensional framework in-filled with water and hyaluronic acid. These are the result of the collagen fibers clumping together and becoming visible as tiny threads and lint. 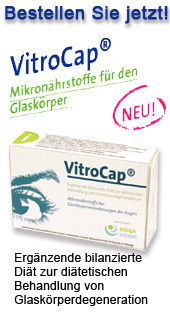 Vitreous opacities tend to increase with age. The vitreous degenerates and pulls itself away from the retina. This separation of the vitreous from the retina results in small fragments of jelly, which move through the vitreous body as floaters. transmits the visual information from the retina to the visual cortex of the brain, where further processing takes place. The vitreous pulls on the retina, which can occur with rapid eye movements. For some people, age-related detachment of the vitreous from the retina can result in a tearing or perforation of the retina. Tiny droplets of blood can occur as a result and appear as black or translucent dots. They can occur in large numbers and move quickly with the resemblance of a falling curtain of soot. Patients sometimes describe them as "black fluff", "black sooty rain" or "a swarm of black flies". Short-sighted people, and those who had a cataract operation, have an increased risk of retinal damage. Untreated retinal tears can progress to retinal detachment. This results from fluid seeping between the layers and detaching the retina, resulting in irreversible vision loss. Treatment at the earliest possible stage is essential in order to avoid permanent loss of vision. The risk of retinal detachment can be prevented easily and quickly by means of prompt laser treatment. If you suddenly see flashing zig-zag or twinkling lights along with an increased number of black dots ("falling clouds of soot"), it is highly advisable to see your eye care professional immediately (if this is not possible, please go to see the next hospital emergency), because there is a risk of retinal detachment.